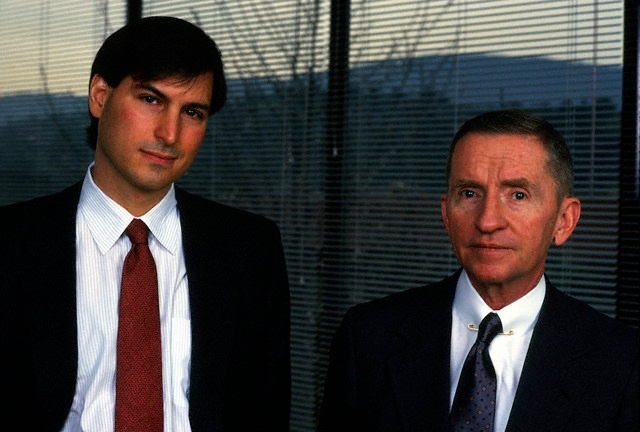 Ross Perot is an American entrepreneur who founded Electronic Data Systems in 1962, which made him a billionaire after he sold it to General Motors in 1984. Looking for ways to invest his wealth, he bought $20 million's worth of shares for a 16% stake and a director's position in Steve Jobs's fledging young company, NeXT, in 1986, after hearing about it on a TV show. Perot left NeXT in 1991 after six uninterrupted years of losing money.